As this is the first post of the series this is about getting ppas installed and creating the first database cluster. provide the username and password you used for downloading the product: done. 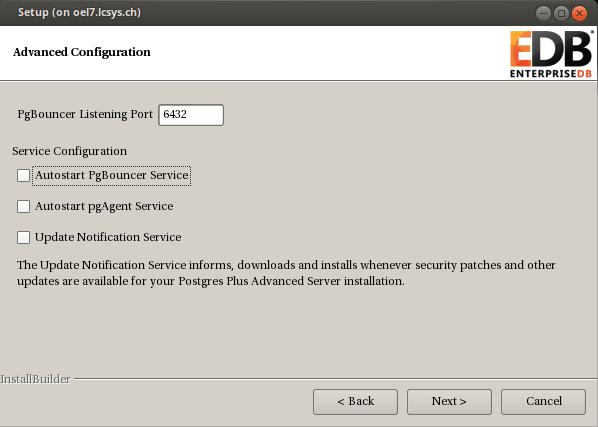 Welcome to the Postgres Plus Advanced Server Setup Wizard. Postgres Plus Advanced Server always installs with Oracle(R) compatibility features and maintains full PostgreSQL compliance. 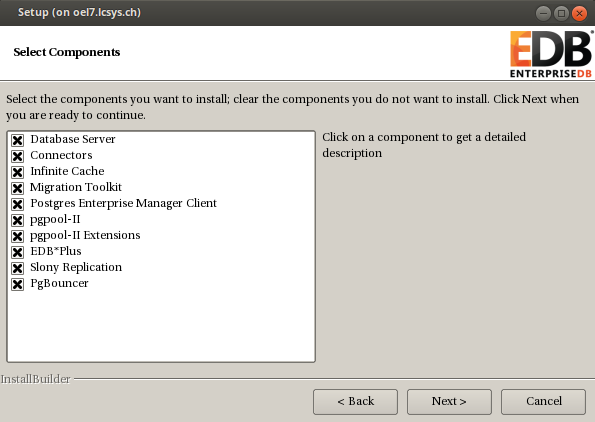 Select your style preference for installation defaults and samples. 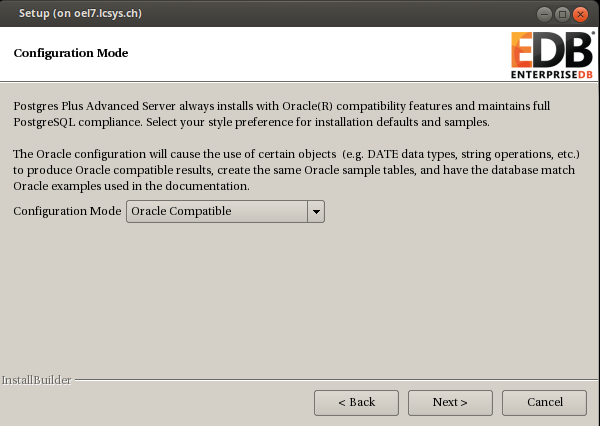 The Oracle configuration will cause the use of certain objects (e.g. DATE data types, string operations, etc.) to produce Oracle compatible results, create the same Oracle sample tables, and have the database match Oracle examples used in the documentation. 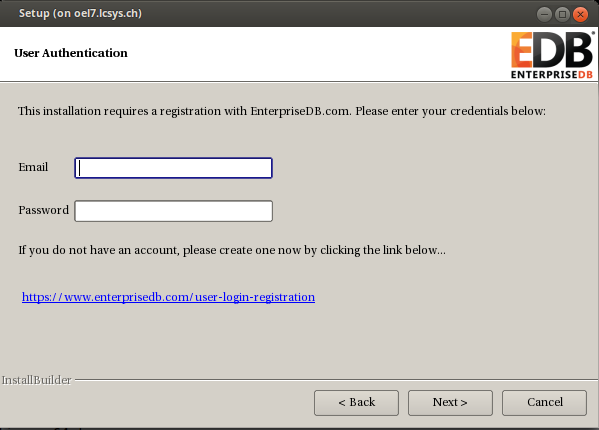 Unix user account (enterprisedb) will be created if not present. Please wait while Setup installs Postgres Plus Advanced Server on your computer. 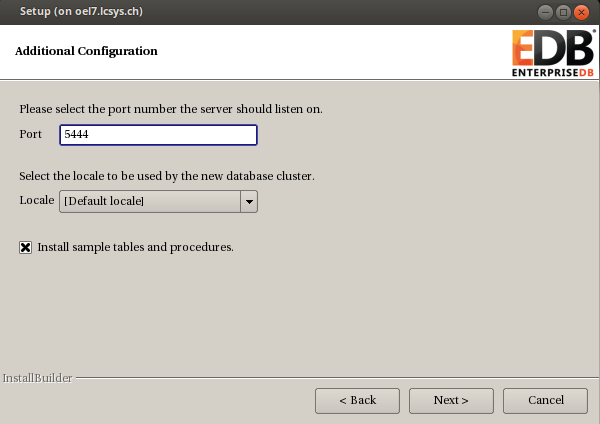 Setup has finished installing Postgres Plus Advanced Server on your computer. Installing StackBuilder Plus ...X11 connection rejected because of wrong authentication. Mission completed. 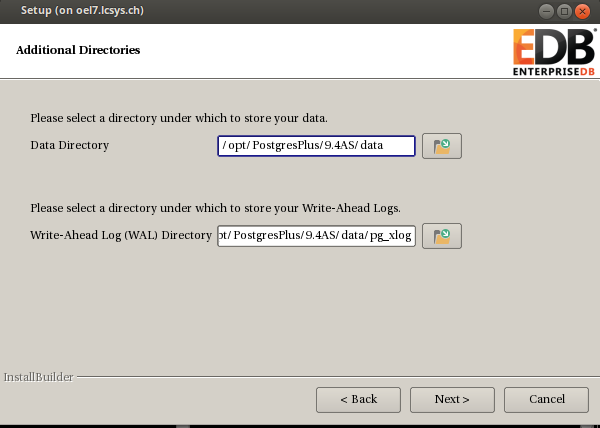 The next post will setup a backup and recovery server for backing up and restoring the ppas database cluster.